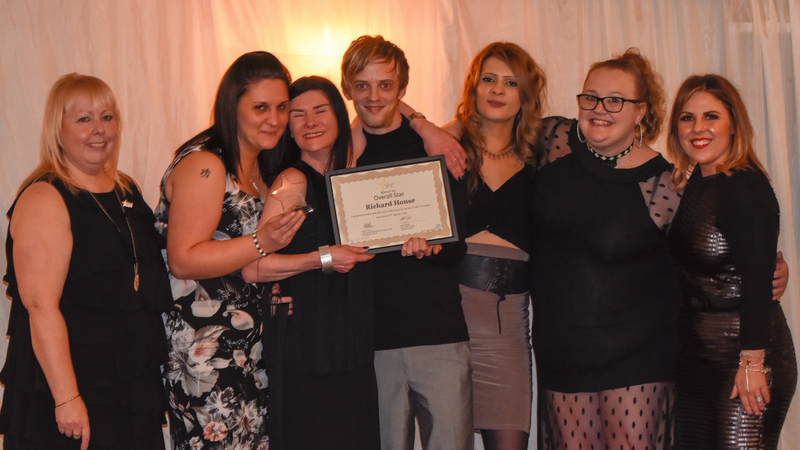 The shinning stars of Stockport’s care sector were unveiled at a glittering, celebratory award ceremony last week (7th Feb). The Stockport Star awards, for the local care home and home care sector, are organised by NHS Stockport CCG and Stockport Council as a way of thanking its loyal and dedicated staff. Now in its third year, hundreds of nominations from the public and care workers were received and the judges had the unenviable task of whittling the numbers down to just nine winners. The winner of the Overall Stockport Star award was revealed as Richard House Care Home in Cale Green. The judging panel – made up of experts from the health and care sector - heard how staff at the care home work with residents to keep them as independent as possible whilst promoting their wellbeing. One of the judges, Sue Carroll from Stockport Healthwatch, said “Selecting the winners has been really tough because we’ve had so many excellent nominations. The coveted awards were handed over by BBC Radio Manchester presenter Chelsea Norris at the evening event at Edgeley Park.